It may be surprising to know that fish are the third most popular pet to keep, after dogs and cats. According to the National Pet Owners Survey 2017-18, 68% of American households own a pet. The survey which was conducted by the American Pet Products Association (APPA) found that 12.5 million US households keep freshwater fish and 2.5 million keep saltwater fish. Freshwater fish account for the largest proportion of pets owned across the US, there are over 139.3 million freshwater fish in comparison to 94.2 million cats and 89.7 million dogs. So why are fish such a popular choice of pet? You may be surprised to hear how many health benefits there are from keeping fish. Have you ever wondered why so many doctors, dentists and therapists have fish tanks in their waiting rooms? This isn’t just by chance. There is plenty of research to show that keeping fish or even just watching them for a short period of time can bring health benefits. The four main health benefits of keeping fish are; reducing stress, reducing blood pressure and heart rate, and improving behaviour and eating habits of those who suffer with Alzheimer’s. 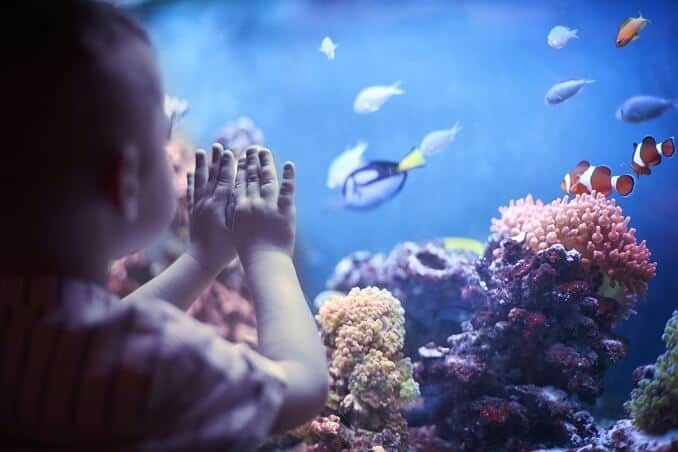 Dr. Schwartz maintains that aquariums have a similar soothing effect to “the sound of the ocean waves, rain storms, and running streams that is mesmerizing as well as relaxing”. Studies carried out in the 80’s proved that aquariums help to reduce patient’s anxiety levels by up to 12%. Perhaps it’s because as humans, we so heavily rely on water as part of our existence, that we are automatically and instinctually comforted when we are close to water. Plymouth University and the University of Exeter found that watching fish in aquariums “led to noticeable reductions in participant’s blood pressure and heart rate”. 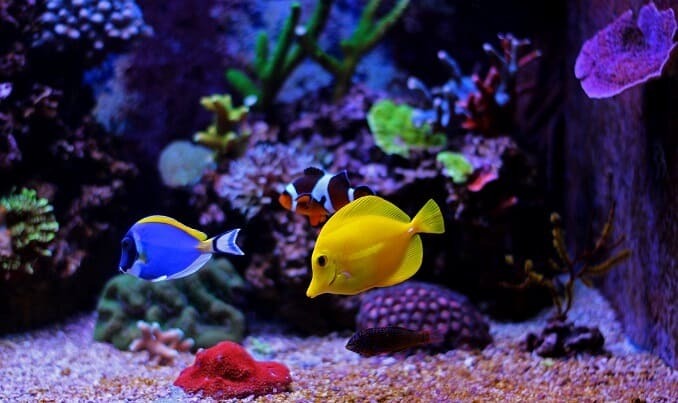 Watching fish, either in your own home fish tank or at the aquarium can help you to feel calm and de-stress. 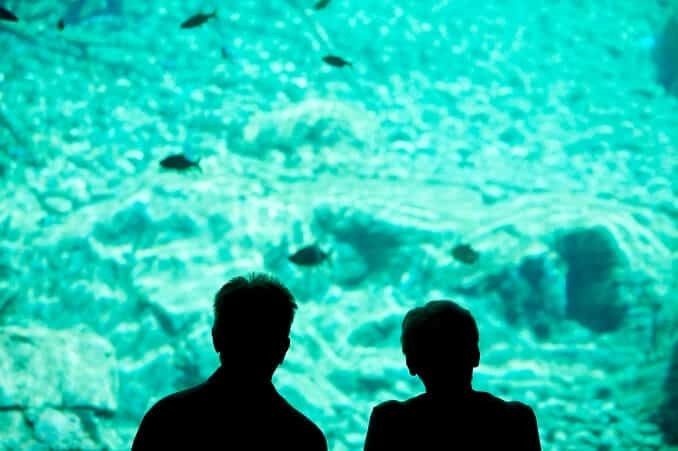 Another study carried out in the 90’s found that when exposed to brightly coloured aquariums, people who have Alzheimer’s disease have reduced disruptive behaviours and an increased appetite. This study promoted the use of fish tanks in care homes across the world. Although our beloved cats and dogs are the most popular household pets, they can make a lot of noise. This noise can come at the most inconvenient times. 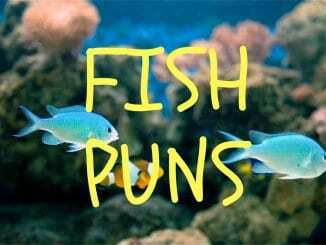 Unlike other pets, fish are completely silent. Not a sound, ever. So if you have a young family they could be the perfect pet for you. Keeping fish is a fantastic learning experience for children. Learning to look after a small animal can teach them how to be responsible, and the importance of caring for everything on our planet, no matter how small. Your children will learn valuable skills through feeding, caring for the fish and maintaining the fish tank. Although maintenance for fish isn’t as time consuming as it is for dogs and cats, it is a good amount of time for children to stay involved and interested. Fish can quickly become a part of your family; some fish will even interact with you and are very playful. There is also the inevitable death of a fish and since death is an unavoidable part of life it is a helpful way to teach your children about death and how to deal with it. In addition to not making any noise, they also don’t take up much space. Perhaps one of the reasons they are growing in popularity as an ideal pet, is that our homes are getting smaller due to the increased cost of living. Many families now live in flats or small homes in which it’s just not appropriate to have a larger animal like a cat or dog. To keep a fish doesn’t require much space. You’ll need a place for the fish tank, and perhaps a small cupboard or box to store all your fishkeeping accessories in. Depending on how many fish you decide to get, you may only need a shelf or surface to place your fish tank on. We do always urge people to do their research into the size of the tank before buying one. Typical small goldfish bowls are not suitable for any fish. We recommend a 5 gallon tank as the absolute minimum size you should have to keep any species of fish in. In comparison to other animals, fish keeping is a relatively inexpensive hobby. The cost depends on the breeds you decide to keep, obviously the fancier you go, the more expensive the hobby becomes. The American Society for the Prevention of Cruelty to Animals found that a small dog will cost you $1,471 per year, in comparison to $227 for a small fish. 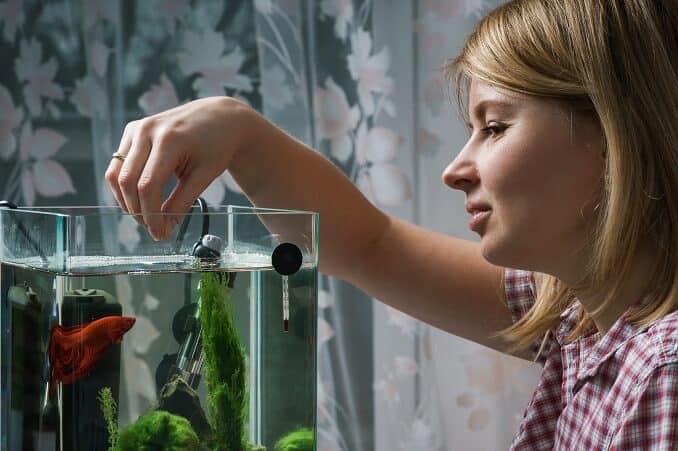 You don’t have to buy expensive gizmo’s to keep your fish entertained, they don’t need to be walked, or entertained. In fact they do most of the entertaining for us. They are very independent, and don’t suffer from anxiety when we leave them. This also means it’s usually quite easy to find someone to care for them when you’re on holiday. With regards to caring and maintaining the fish tank, this will require some time commitment. 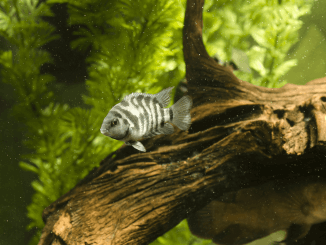 You’ll need two 5 minute feeding periods per day, you’ll also need to allow half an hour per week to change 10-15% of the water and do any cleaning (algae and gravel). In a survey carried out by APPA, it was found that 34% of households that keep fish say they consider keeping fish to be a rewarding hobby. In this particular survey, that is the highest percentage in comparison to other pets such as birds, in which only 22% of bird keepers keep birds as a hobby. Keeping fish has become a great hobby for many people over the last few decades. People take great pride in their tanks and their collections of fish, and some enthusiasts also breed fish. Fish tanks can become the focal point of a room, and also a point of conversation with visitors. Perhaps one of the most common reasons people want to keep an aquarium, is that they look beautiful. 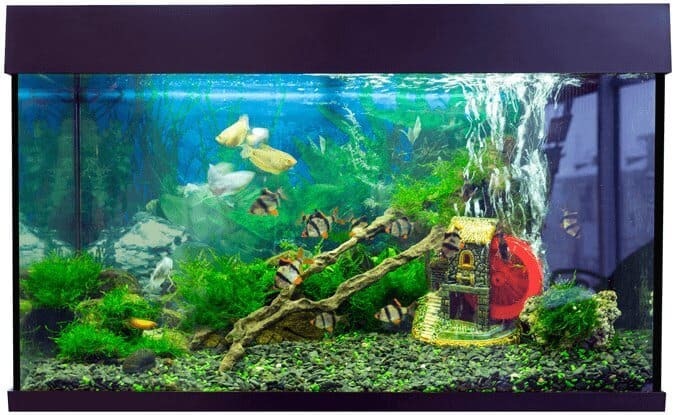 They promote feelings of calm and peacefulness, fish tanks can be an attractive addition to any home. Fish come in a vast variety of shapes, sizes and colours, and just watching them for a few minutes a day can help to relax you and connect you to nature. We always like to be realistic when discussing anything fish related and it’s important to know that fish keeping is not all fun and games. There are some aspects of fish keeping which are hard and there are a number of drawbacks. American Pet Products conduct annual research on pet satisfaction, and their latest one shows the drawbacks of fish keeping, and the percentage of households who consider each point to be a drawback. You may noticed that most of the percentages are quite low, which suggests that there aren’t too many drawbacks to fish keeping, 16% of owners actually agree there are no drawbacks at all. The most common drawbacks are algae build up and cleaning, and health problems. Unfortunately, health problems are prevalent throughout all pets, however tank maintenance and cleanliness can go a long way to reduce health risks for fish. There are ways you can reduce algae build up, for example keeping your fish tank away from a window. And although 38% of fish owners believe the cleaning to be a drawback, in comparison to other animals the time spent cleaning and maintaining is actually very little. If you’ve read this article in preparation for buying an aquarium and some fish, it’s likely that your mind will be made up. Make sure to read 8 Beginner Fishkeeping Mistakes. Fish can help with many health benefits, including stress and reducing your blood pressure. 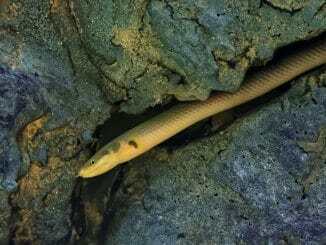 They are relatively easy to care for, and one of the cheaper pet options. They don’t take up much space, or make much mess.